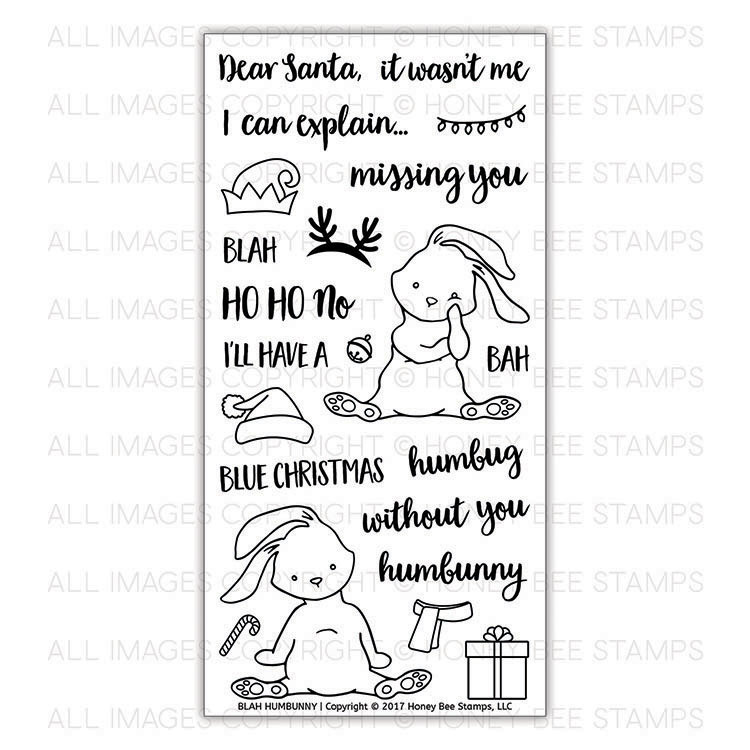 These cute little bunnies are just feeling blah about the holidays! 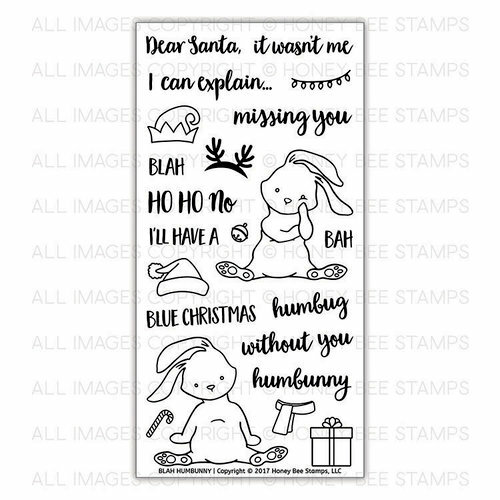 Cheer them up with some crafts using the Blah Humbunny Clear Acrylic Stamp Set by Honey Bee Stamps. 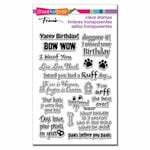 The package includes 22 photopolymer stamps that coordinate with the Blah Humbunny Die Set sold separately. 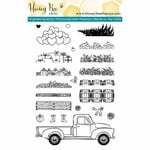 The set comes on a 4" x 8" storage sheet and can be used with an acrylic block of your choice, also sold separately. Made in the USA. As a mother of 3 little ones, I cannot be all sunshine and roses all the time. 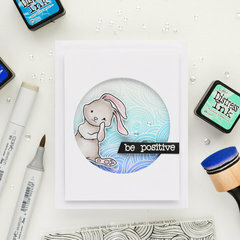 I love the versatility of the whole blah bunny line.